Her Majesty Queen Dilly Dally holds a magical place in her heart for the Special Needs Community. 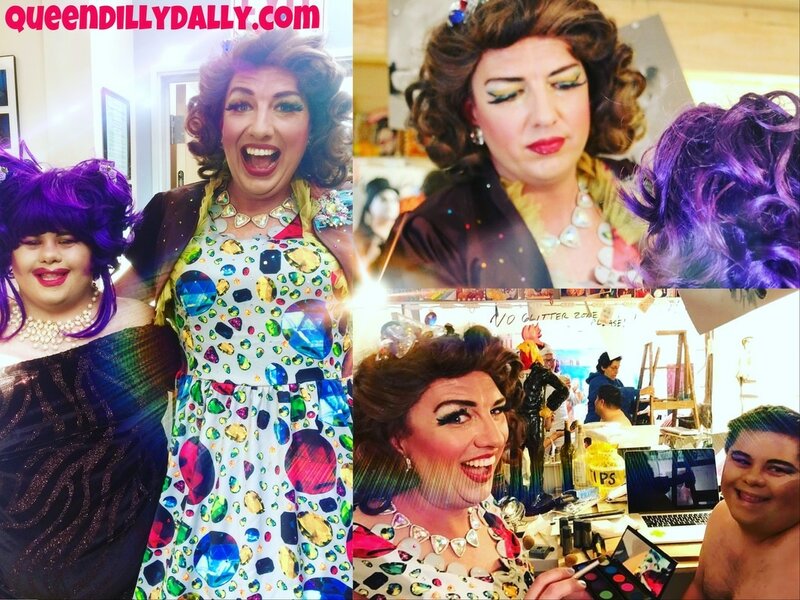 The ARC of San Francisco ( www.thearcsf.org) contacted QDD with a special request - "Would you like to be the drag Mother to one of our artists?". They need not ask twice = YES! It was my honor to co-hostess an Art Gallery event for The Arc's annual artist presentations including everything from paintings to drag performances! I was beyond myself when I met my new friend, Paul. He is full of joy and excitement, he has the "uniqueness, nerve and talent" that the infamous Rupaul looks for in all Queens! I myself was full of joy, energy, love and magic. Transforming Paul from himself to his self created "Candy Deelite" was an experience I will hold close to my heart always. I so look forward to more events and loving moments with The Arc!